LOS ANGELES AIR FORCE BASE, Calif. (USAF SMC PR) —The Space and Missile Systems Center (SMC) released a final request for proposal for the Long Duration Propulsive Evolved Expendable Launch Vehicle (EELV) Secondary Payload Adapters, or LDPE. The foundational technology for the LDPE is the EELV Secondary Payload Adapters, or ESPA, which is an Air Force Research Laboratory (AFRL) initiative to host auxiliary payloads on primary spacecraft launch missions. This SMC acquisition responds to the Air Force Space Command (AFSPC) standard service policy that requires rideshare services on launch missions when feasible. The LDPE leverages propulsive ESPA technologies developed by AFRL’s Space Vehicles Directorate. The product of this procurement represents significant progress toward AFSPC objectives to provide secondary payload rideshare opportunities on Department of Defense launch missions. The DPE program will be a competitively bid acquisition for an EELV-compatible payload adapter with power, attitude control, and propulsive capabilities. The effort will include integration services for government-furnished payloads and one year of early orbit checkout and operations. The contract will have options for two additional LDPE systems that would be manifested on future AFSPC missions. 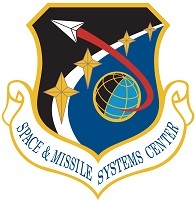 SMC, located at Los Angeles Air Force Base in El Segundo, Calif., is the U.S. Air Force’s center of acquisition excellence for acquiring and developing military space systems. Its portfolio includes the Global Positioning System, military satellite communications, defense meteorological satellites, space launch and range systems, satellite control networks, space based infrared systems, and space situational awareness capabilities. LOS ANGELES AIR FORCE BASE, Calif. (USAF PR) — The Air Force released a Request for Proposal for an Evolved Expendable Launch Vehicle (EELV) Launch Service supporting the Space Test Program (STP) 3 mission scheduled to launch in June 2019. The draft RFP was released on Aug. 19 to obtain industry feedback to inform the final RFP. After extensive industry engagements, the final RFP was released on Sept. 29 with proposals due back to the Air Force no later than Dec. 2 in accordance with the solicitation instructions.